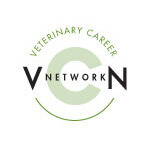 Our two doctor practice is expanding and we looking for an associate veterinarian to complement our team. Candidate must have good communication skills, great work ethic, and have ability to ask for help when needed. Will offer one on one mentoring. Candidate must be willing to share after-hours emergency duty. Experienced or new graduates welcome. Our practice is 65% bovine and 35% small animal. The clinic has CBC and chemistry machine, digital radiography, gas anesthesia, and dental equipment. The large animal equipment includes two portable hydraulic chutes with scale, hydraulic tilt table, portable double alley tub, EI Medical Ultrasounds, haul in facility with hydraulic chute scale and tub. Salary based on experience. Benefit package: health insurance, professional liability insurance, IRA retirement fund, paid time off, CE stipend, SD & MN license, and 2 professional membership dues paid. Clinic will provide work pickup with Bowie vet box.